Our look of the week is tailor-made for this transitional weather. 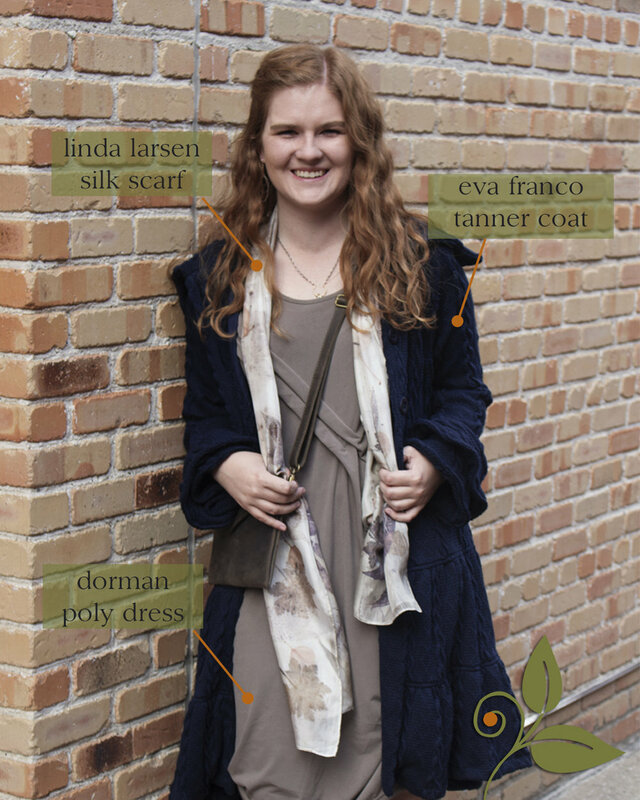 Megan wears layered pieces from Dorman and Eva Franco. She also added a Bed Stü bag, Calliope necklace, and a stunning silk scarf, hand-dyed by Linda Larsen. Come meet Linda at our Grand Opening Celebration this Friday! 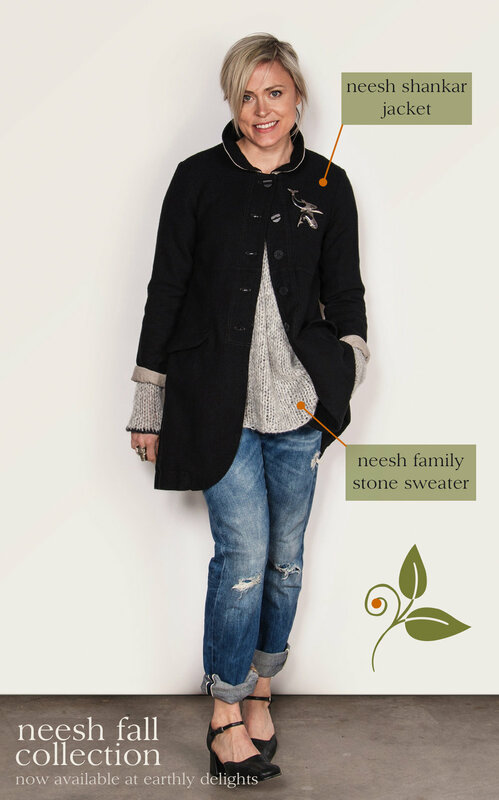 Now in store: Neesh for Fall! The Neesh by D.A.R. Fall collection has finally arrived, and it's our Look of the Week! Mix fun layers with warm fabrics, and you've created the perfect autumn attire. As always, the details get us every time. Check out more looks from the collection below, then stop in to try on your favorites! Photos courtesy of Neesh by D.A.R. Megan's back this week, showing us how to bring our favorite tie-dye pieces into fall. Each Brightly Twisted garment is hand-dyed for you, including this luxurious velvet kimono! Lauren Vidal leggings bring a little edge to the party. We added some Sahlia bangles, Edgy Petal Labradorite Earrings, and a Sahlia statement necklace to complete this cool look. Stop in to check out these pieces! Here's our Store Manager Megan modeling our Look of the Week, featuring brand new arrivals from Cut Loose! Perfect for autumn, our new shipment of Cut Loose features a warm fall palette and staples that are born for layering. Stop in to try it on for yourself!